Are you headed to the University of Nebraska-Lincoln this fall? Or maybe you know of someone attending there who is interested in video production. 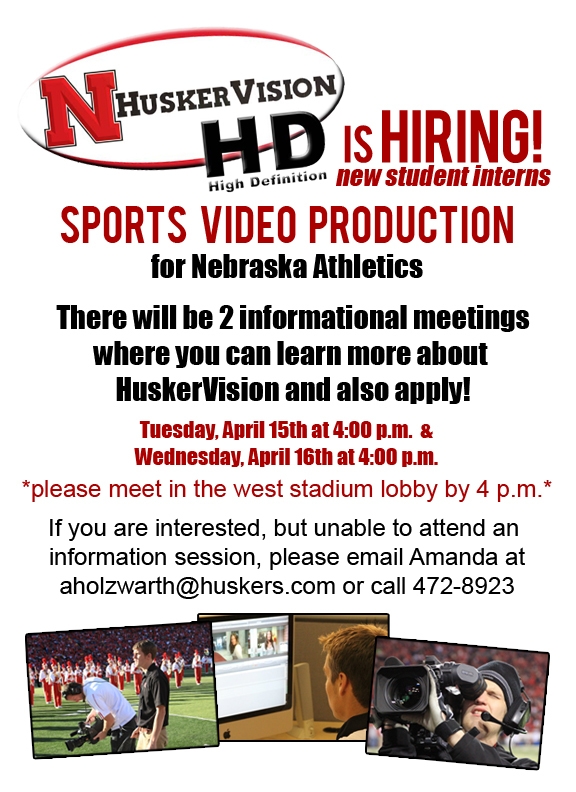 If so, check out this great internship opportunity with Husker Vision.